I purchased this CL 250 from the original owner. He worked at the Honda dealership that it was shipped to. He restored the bike himself in recent years. He did a nice job with it and did a few added touches that in my opinion adds to the bike – chrome side covers, head light, chain guard and rear stand. Honda motorcycles were shipped to the states starting in 1959. 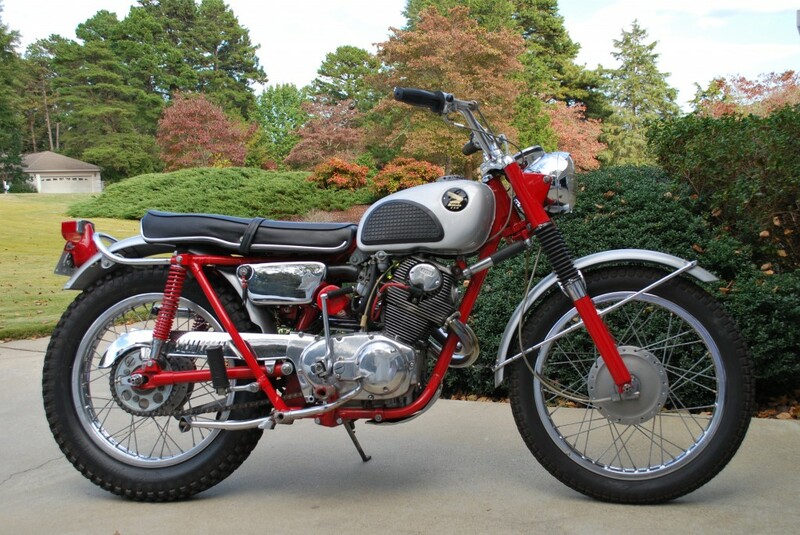 The CL 250 was a very popular bike for several years with initial production in 1962. Continued models were changed very little. This is a fun bike to ride and perfect for MotoGiro – USA.